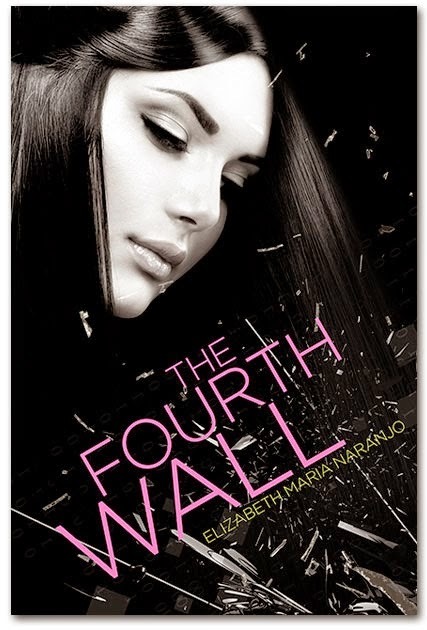 Right now, Elizabeth Maria Naranjo is busy promoting her debut novel, The Fourth Wall. It’s a book about a young girl who uses lucid dreaming as a form of escapism after her mother dies. The girl, Marin, creates an alternate world in her dreams where she can live in a kind of denial, and then she loses control of the dream and it turns against her. Elizabeth has included WOW! 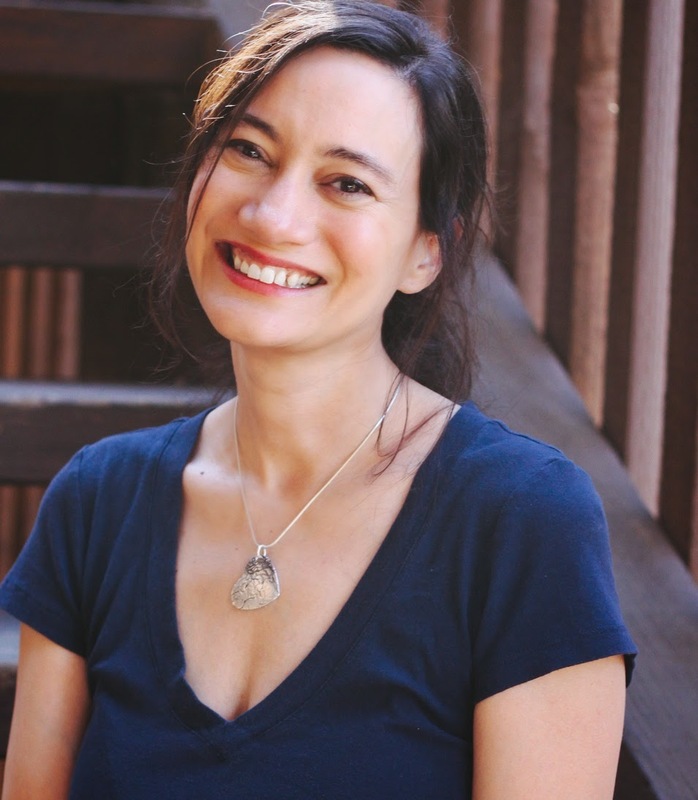 Women on Writing in her promotion and is about mid-way through her blog tour. I interviewed Elizabeth at the beginning of her tour and we sat down over a virtual cup of coffee to learn even more! Thank you Elizabeth for taking time out of your busy schedule to chat with me again, an even bigger thank you for partnering with WOW! it truly has been a pleasure! WOW: I sometimes get stuck finding time to write and then I spend more time editing what I already wrote than I do writing anything new. 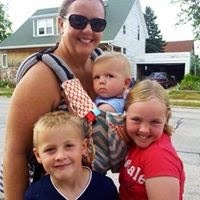 Do you have any advice that might help someone like me? Elizabeth: I wish I could remember where I read it first, but the piece of advice that’s most helped me is this: don’t edit while writing your first draft. Once I grasped the concept of getting a rough draft down first and then going back to edit it, I broke out of my writing slump. Up until then, I was often discouraged because writing took so long. I felt I had to perfect every sentence before I could move on. Which is madness; it just doesn’t work that way. WOW: Other than your blog tour and publishing The Fourth Wall, what has been your biggest adventure to date? Elizabeth: Motherhood. It comes with all the risks and rewards of the greatest adventures, and it’s the most fulfilling one there is. WOW: It’s a daily adventure, isn’t it? I completely agree! Although some days I wouldn’t mind a fairy godmother who could maybe babysit while I spend a day at the spa…and speaking of fairy godmothers: If your fairy godmother waved her wand and whisked you away to the location of your choice, which place would you choose, and why? Elizabeth: The world of Harry Potter. I want to explore the hidden passageways of Hogwarts and stroll down Diagon Alley, creep through the Forbidden Forest and tour the Ministry of Magic. Maybe catch a live Quidditch game while I’m there. WOW! : I’m such a foodie, I think I’d pick some place a little more food oriented, but that explains the difference between our figures (wink wink). So Elizabeth, when it comes to food, are you the adventurous type who will try anything once, or do you prefer to stick to tried and true foods and recipes? Elizabeth: I really don’t get too excited about food, unless we’re talking desserts. I’d be happy eating peanut butter sandwiches every day, but if something has enough sugar in it, you can probably get me to try it. WOW: Now you’re speaking my language! Love love love anything sweet! We better change the subject before those calories jump off the page and onto my thighs. So…what is the one modern convenience that you cannot do without? Elizabeth: I live in the desert, so air conditioning. WOW: Living in the Midwest I have very little appreciation for air conditioning…but don’t you dare take away my snow blower! Your seasons aren’t quite as extreme as ours, but what is your favorite season? What do you love about it? Elizabeth: Fall. I love the weather cooling down, that wonderfully crisp air. I love being able to take walks at night again; here in the summer, you’d melt. I love the colors of fall, and getting ready for the holidays. Watching “It’s the Great Pumpkin, Charlie Brown” during October days and staying up late at night for the horror movie marathons. Pumpkin spice lattes, of course. Just everything about fall. WOW: Ahhh yes, those pumpkin spice lattes are amazing, aren’t they! Here’s a loaded question: How do you describe yourself? How would your family and friends describe you? Elizabeth: I would describe myself as introspective and shy. A loyal friend and a good listener, but probably too sensitive for my own good. My family and friends would maybe describe me as quiet, hopefully kind, and with an easy sense of humor. It doesn’t take much to make me laugh, and once I get the giggles, it’s over. WOW: I never would have guessed you were shy, but some people just click. It’s been such a pleasure working with you and getting to know more about you. How is your next project coming along? When can I put you on the WOW! schedule for the next tour? Elizabeth: I’m working on my second novel, a story about a 12-year-old boy who runs away with his best friend. They’re searching for the friend’s father—a volcanologist who disappeared in the field. Like The Fourth Wall, this book will have a paranormal element. The WOW! tour has been wonderful in so many ways and I look forward to another! The best part has been the engagement on the blog sites. In particular Margo Dill’s Lit Ladies site was fun. People shared their love of YA literature, their history of lucid dreaming, and one commenter even posted her dream from the night before (a nightmare about pandas!). Those interactions are great! WOW: I’m so glad you’re enjoying your tour; I know I am! Any place we can find you in person or on the net this month or next? Elizabeth: This month I have a few more stops on my blog tour, and next month my short story “Code Talkers” comes out in Brevity Magazine. I am also running a giveaway for some beautiful hand-made feather earrings (Frankie’s earrings from the book). I’d love it if everyone would stop over and register for the giveaway. There’s a great story behind the earrings and they were made by my husband as well as being a big hit at my launch party! WOW! : That’s awesome Elizabeth and thank you for the invitation! I’ll include a picture of the earrings and a link to your blog (http://www.elizabethmarianaranjo.com/2014/08/13/giveaway-enter-to-win-feather-earrings/). Good luck to Elizabeth with all her future plans and good luck to our lovely readers; you’ll have to post an action shot of those earrings if you’re the lucky winner! I wish I could stick to the advice of DON'T EDIT until first draft done. IT. IS. SO. Hard. Also, love anything pumpkin spice!